Crato is a municipality in Portugal with a total area of 398.0 km² and a total population of 3,995 inhabitants. 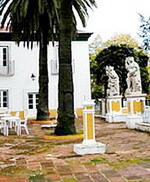 The municipality is composed of 6 parishes, and is located in Portalegre District. The present Mayor is José Correia Luz, elected by the Socialist Party. The municipal holiday is Easter Monday. 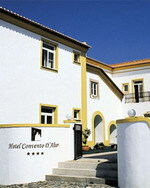 The Exclusive Hotel Dom Luis is located in central Elvas, Portugal, five kilometres from Elvas Castle. 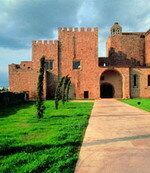 The Photograph Museum is three kilometres away and Badajoz Cathedral is 17 kilometres from the hotel. This hotel has three onsite conference rooms and a 24 hour front desk. There are also air-conditioned public areas and complimentary parking. 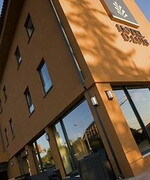 Bar Dom Luis at Exclusive Hotel Dom Luis serves meals and a complimentary breakfast. The 85 guestrooms are all air conditioned and include televisions with satellite channels. There are coffee and tea facilities and telephones. The private bathrooms include hair dryers. 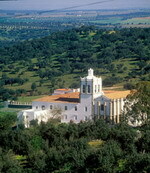 Quinta de Santo Antonio is located seven kilometres from the fortified town of Elvas, Portugal, and seven kilometres from the 16th-century Amoreira Aqueduct. The Spanish city of Badajoz is 10 kilometres east. The nearest train station is at Elvas. 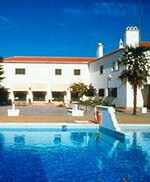 Quinta de Santo Antonio is situated in a large country estate, dating from the 17th century. Guests can wander through landscaped gardens or relax with a drink on the sun terrace by the pool, overlooking the olive groves. Currency exchange is provided at the 24-hour front desk where multilingual staff are on hand to assist with travel and tourist arrangements. Childcare and laundry services can be arranged and complimentary parking is available. A complimentary buffet-style breakfast is offered each morning. Portuguese and international dishes are served in the traditional decor of the A Quinta restaurant. Drinks are available from the poolside bar and room service is provided around the clock. Estremoz is a city located in Estremoz Municipality in Alentejo Region in Portugal. Together with the two other marble towns, Borba and Vila Viçosa, Estremoz is internationally known for its fine to medium-grained marble that occurs in several colours: white, cream, pink, grey or black and streaks with any combination of these colours. Especially the pink marble (Rosa Aurora and Estremoz Pink) is in high demand. 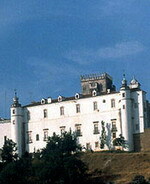 Évora is ranked number 2 in the Portuguese most livable cities survey of living conditions published yearly by Expresso. 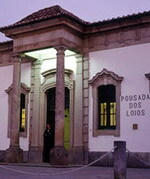 It was ranked first in a study concerning competitiveness of the 18 Portuguese district capitals, according to a 2006 study made by Minho University economic researchers. Due to its well-preserved old town centre, still partially enclosed by medieval walls, and a large number of monuments dating from various historical periods, including a Roman Temple, Évora is a UNESCO World Heritage Site. 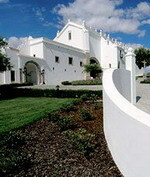 The Convento do Espinheiro Heritage Hotel & Spa is a whitewashed, converted 15th-century convent, situated three kilometres from the World Heritage site of Evora city centre. There is a choice of dining options, including: the Divinus gourmet restaurant located in the old wine- cellar, the Pulpitus Bar set in the monks' old kitchen, and the Arcada Restaurant situated in the convent's tranquil cloisters. Guests can enjoy a range of massage treatments, take a dip in the indoor pool, and relax in the Turkish bath and sauna. Valet parking is available for those arriving by car, and there are porters to help with luggage. The hotel is well placed to explore the surrounding area; the Sé de Évora cathedral and Évora Museum are both 2.5 kilometres away, and it is 40 kilometres to the traditional villages of Arrailos and Estremoz. 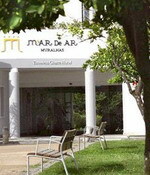 Located in Evora - a World Heritage Site - M'AR De AR Muralhas is a traditional Portuguese hotel set amidst 14th century city walls. Guests can suntan on loungers beside the swimming pool that overlooks the garden and 14th century city walls, or rent a bicycle to explore the surrounding historical area. Those with business needs have use of a number of well-equipped, inter-connecting conference rooms which can seat a maximum of 500 delegates. In the evening, guests can enjoy regional Portuguese and international fare in the Cerca Nova restaurant, or relax with a drink and listen to live music at the poolside bar. Multilingual staff at the 24-hour front desk can assist with booking wine tours, local gastronomy classes and any sightseeing queries. Nearby attractions include the Megalith cave tour which starts 450 metres away, and the Templo Diana, an ancient Roman church, is 1 kilometre away.